Our team warns that a disproportionate amount of websites that employ the WordPress platform have been compromised by cyber criminals. This online advertisement forces the traffic to the servers that host the exploit kit, which all try to exploit vulnerabilities on the victim’s system. The attackers manage to achieve this by using the Nuclear exploit kit, which is available commercially via the exploit kits-as-a-service model. Hundreds of servers hosting WordPress-based websites have already been compromised. Cyber criminals know that moving fast is key for maintaining their anonymity. If the victim’s computer is not properly updated, then the system will be fed Teslacrypt ransomware. What’s more, this Teslacrypt variant is identical to the other ransomware strains, so Cryptowall or other ransomware types could also infect the victim’s PC. 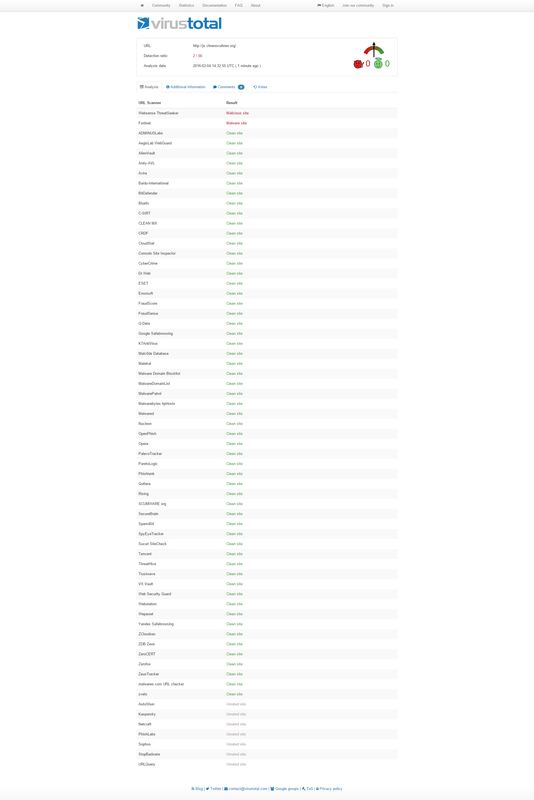 We have already blocked more than 85 domains that are being actively used in this campaign, and the list will most likely increase. As you can see, antivirus detection of exploit code is low: only 2/66 on VirusTotal. Meanwhile, the payload also achieves only limited detection. 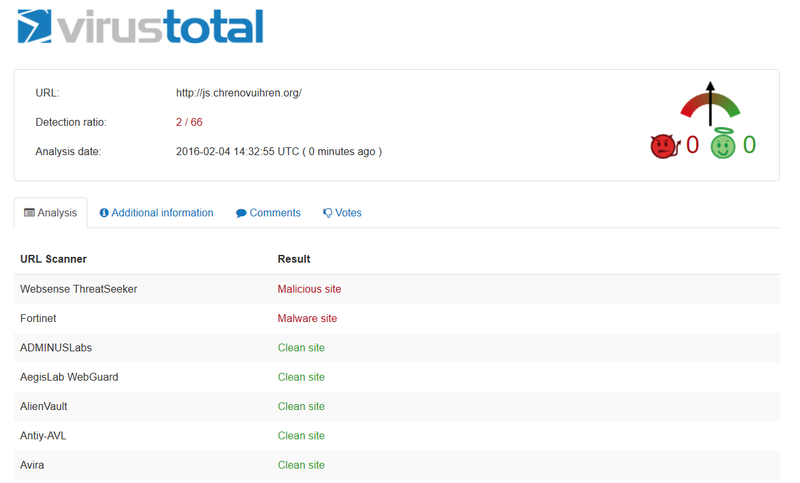 Click here for the full detection rate on VirusTotal at the time the campaign was announced. These details make this particular malware campaign a massive one, and the trends is likely to continue. Only 3 days ago, Sucuri Security also announced a huge campaign targeting WordPress websites in which cyber criminals “injected encrypted code at the end of all legitimate .js files”. The same group of attackers behind both campaigns, but that information is not confirmed. I got such a chrome warning on my site. How can I detect where the code was placed on my site so that I can remove it? Thanks! Someone should take a look at your server and scan it with a dedicated security solution to see if it’s infected. Sucuri offer very good WordPress security solutions.